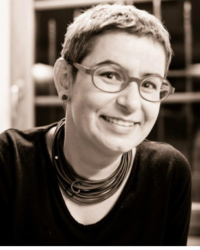 Kateřina Králová is an Assistant Professor in Contemporary History and former Vice-Dean for International Relations (2010–2015) at the Faculty of Social Sciences, Charles University, Prague. In her research, she focuses on reconciliation with the Nazi past, post-conflict societies, memory, and oral history regarding the Holocaust, Greek Civil War, and post-war reconstruction particularly in Greece. In 2016, she published her book on Greek-German relations Das Vermächtnis der Besatzung: Deutsch-Griechische Beziehungen seit 1940 (Böhlau Verlag), two articles in peer-reviewed journals entitled “The ‘Holocausts’ in Greece: Victim Competition in the Context of Postwar Compensation for Nazi Persecution” and “In the Shadow of the Nazi Past: Post-War Reconstruction and the Claims of the Jewish Community in Salonika,” and co-edited Minderheiten im Sozialistischen Jugoslawien: Brüderlichkeit und Eigenheit (Peter Lang Verlag, 2015). She also co-edited Návraty: Poválečná rekonstrukce židovských komunit v zemích středovýchodní, jihovýchodní a východní Evropy [Coming Back: The Post-War Reconstruction of Jewish Communities in the CE-, SE-, and Eastern Europe] (Karolinum, 2016). During her academic career, she was an IKY fellow at the UOM, Greece, a DAAD fellow at the Heinrich Heine University, Germany, a Fulbright Fellow at Yale University, USA, and a Sosland Fellow at the USHMM, USA. She is fluent in Czech, Greek, German, and English.